It's the hottest move in the NBA this season. James Harden's infamous ​double step-back against Utah in December that went uncalled has seemingly ​set a new NBA officiating precedent for what is and is not a travel. Steph Curry tried to pull it off and failed, but Celtics guard ​Terry Rozier made it happen Saturday against the Clippers. On that note, we aren't quite sure how the officials missed the easy travel call. 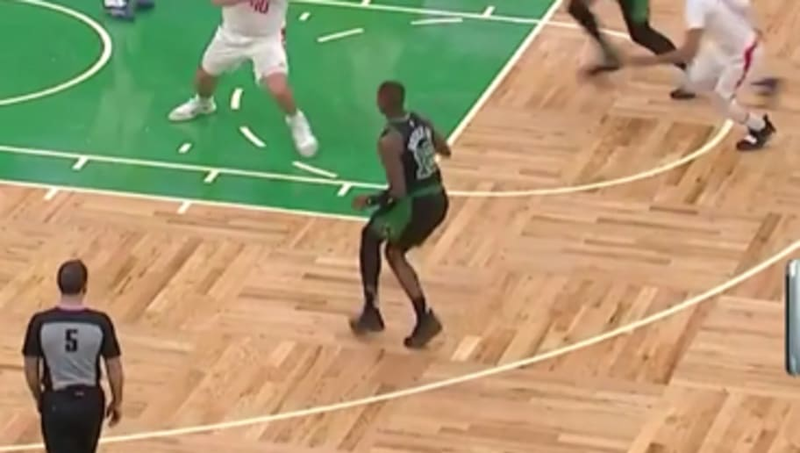 ​​The official is literally standing in perfect position, watching Rozier with the ball. There aren't many jobs where you can get away with making such an egregious error, but NBA officiating is apparently one of them. Also what are the NBA officiating parameters of the double step-back? Because from my account there does not appear to be any rhyme or reason. Harden just seems to be more subtle with it. The NBA better figure this out before it becomes an epidemic among players that don't have as good as footwork as Harden.